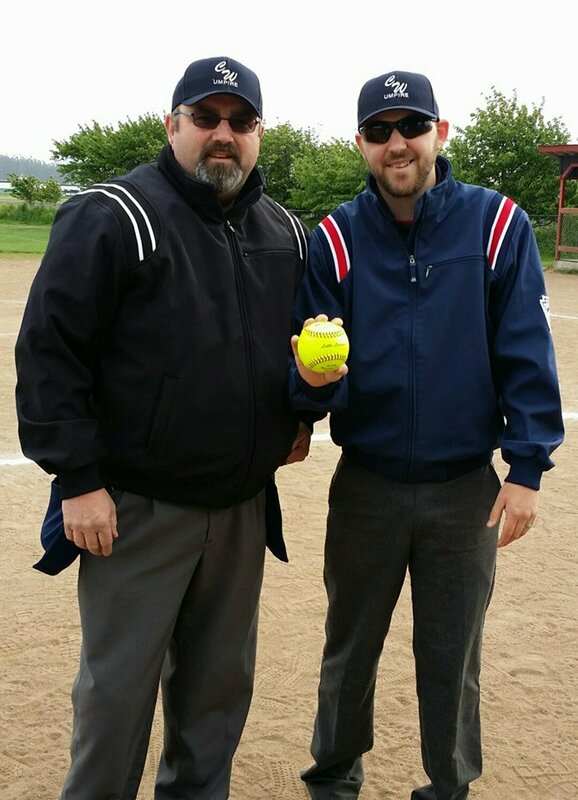 After opening a new season Tuesday with an emotional tribute to beloved coach and umpire Joel Wheat, the Central Whidbey Little League Majors softball team toasted visiting South Whidbey 22-1. CWLL officials released a statement acknowledging the league’s unexpected loss. “It is with great sadness that I have to tell you that our Joel Wheat passed away from cardiac arrest this morning. Joel was an integral part of CWLL and we will miss him. Joel was an active T-Ball coach last season and umpire for many years. When the teams took the field Tuesday, players, fans, umpires and coaches held a moment of silence, and CWLL dedicated the game to Wheat and his family. Central Whidbey put together a 13-run first inning to take complete control of the game, with Jada Heaton lashing a game-busting double. CWLL coach Fred Farris did his best to keep the game from becoming a rout of epic proportions, eventually sending his runners early to give away some outs. That was about the only thing going right for South Whidbey, as their batters couldn’t touch Central hurler Chloe Marzocca, who whiffed eight across four innings of work. “She pitched awesome!,” Farris said. Everyone chipped in for Central Whidbey, with Mia Farris, Heaton, and Madison McMillan rapping out two hits apiece. Teagan Calkins, Taylor Brotemarkle, Brianna Blouin, and Katie Marti each added a base-knock, while Mayleen Weatherford, Marzocca, and Allison Nastali scampered to first on walks.